TreadWare software was developed to fill what we considered to be a major void in the tire retread industry. We looked far and wide to find suitable software to run our own retread business with no luck. 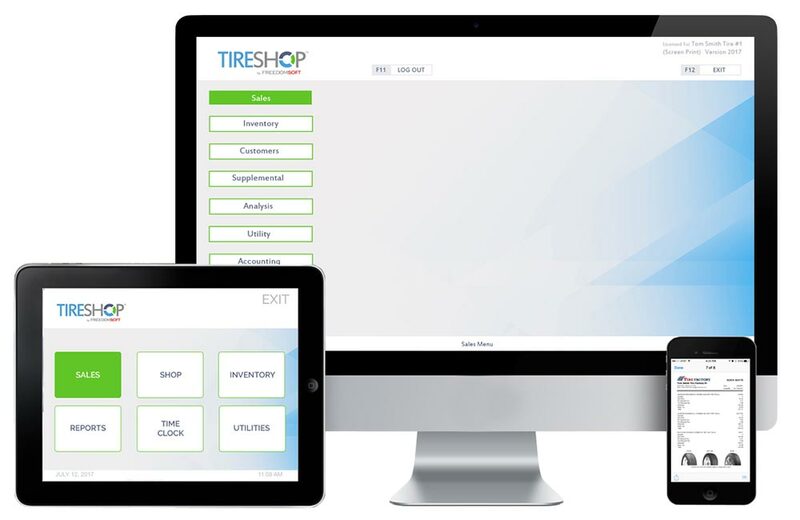 When it came to seamlessly integrating Point-of-Sale software with TreadWare, we were far more fortunate with the discovery of TireShop from FreedomSoft. We were so impressed with their product that we felt no need to reinvent this wheel, and we recommend and endorse TireShop as our POS of choice for use with TreadWare. TireShop is being used nation wide to handle retail tire, automotive service, quick-lube, commercial sales, wholesale/distribution, and internet sales. It's a Microsift Windows-based program, so it runs on affordable, readily available hardware that's likely already in use in your shop. TireShop has been tested and certified BY MICROSOFT to be fully compatible with their latest operating systems and office products. We encourage you to learn much more about FreedomSoft and their TireShop software at their website.